Beautifully remodeled from top-to-bottom with a chef’s dream kitchen and a backyard oasis featuring a black-bottom pool and cabana, this home will surely be your summertime escape! Built in 1980, this home offers a spacious 1,474 SF of immaculate living space with an open floor plan, vaulted ceiling and an abundance of natural lighting. Highlights include a fully renovated kitchen, recently updated bathrooms, inside laundry room, 2-car garage; an amazing backyard with swimming pool and cabana and RV & boat parking. The “chef’s dream” gourmet kitchen is just “stunning” and features top-of-the-line stainless steel appliances including a 36″ Kitchen-Aid 6-burner dual fuel oven/range; an over-sized center island with breakfast bar; and chocolate-cherry wood Kraftmaid custom cabinetry with crown moulding, under-mount lighting & soft close cupboards & drawers; all accentuated by gorgeous beveled Alaska Denali granite slab countertops, full-height mosaic glass tile back splash, and 18″ ceramic tiled flooring. This home is situated on a tree-lined street in a charming and well established neighborhood in the south-western part of Gilroy; and walking distance to schools and several community parks, including Christmas Hill Park which is home to the Gilroy Garlic Festival. Great public schools are also associated with this adress. The city of Gilroy is conveniently located off Highway 101 and within 30 minutes commute to many of the Valley’s hi-tech companies…this great community has a small town atmosphere with a quaint historical downtown area offering many great dining and shopping options…other community highlights include Gilroy Gardens (a great family oriented theme park); Eagle Ridge golf course (with 18-hole golf course with tree-lined fairways); the Gilroy shopping outlets and many award winning local wineries! Located in the highly desirable Luna at Terra Serena in the heart of Milpitas, this rare courtyard level condominium offers an open floor plan with high ceilings, an abundance of natural light, and a great room with kitchen, family and dining areas, and a large oversized patio open to the inner gardens of the courtyard. And with bedrooms located at opposite sides of the main living areas, owners will enjoy maximum privacy from visiting guests. Highlights of this property are surely the gourmet kitchen with ample-sized granite slab countertops, cherry colored cabinets with plentiful storage, natural stone tiled flooring and stainless steel appliances; as well as the luxurious master bathroom with dual sink vanity, deep soaking tub, an over-sized stall shower, walk-in closet and natural stone tiled flooring. A side-by-side washer & dryer are conveniently located in the laundry closet within the unit, as well as central heat and air conditioning, and additional storage closets located on the patio as well as down the hall from the condo. Parking is also convenient as two stalls are available in the underground parking garage serviced by two elevators and stairwells. Living within the Luna at Terra Serena, an exceptional gated community, is peaceful and enjoyable. Residents have access to many common amenities including a grand clubhouse which residents can reserve for large family gatherings or parties; a great swimming pool and spa area adjacent to a common BBQ area; an exercise room with top of the line equipment; several children’s playgrounds, and a beautifully open park. In a study conducted by Old Dominion University’s Institute for Behavioral and Experimental Real Estate, researcher Michael Seiler discovered that overall, when buyers view listings on-line they devoted 60 percent of their time to photos, 20 percent to property descriptions, and 20 percent to the agent’s comments; and he found that their interest diminished after clicking through numerous properties. So how can you use this to your advantage if you’re thinking of selling? I think the study is really important, especially in a seller’s market like we’re currently experiencing, because while it may be easy to sell a house, if you want to net the most proceeds you still have to work to create an emotional connection between the buyer and your home. And since, for most people these days (94% as discovered by National Association of REALTORS®), the first point of contact is through the internet so being sure to use captivating photography is essential to creating those connections. 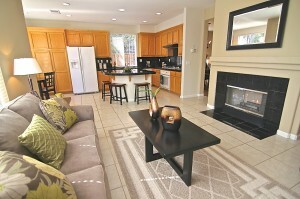 Our recommendation…always show your home with professional photography. It’s amazing how many sellers are still not aware of the power of professional photography when combined with the internet’s ability to expose their property to countless buyers. In order to catch the attention of potential buyers searching homes on the internet, according to the study, eye-catching photography is essential for them to spend more time reviewing the details of your property. And better yet, when buyers do find homes that they find visually pleasing in photos, they’re also more likely to share these photos with their friends and family through social media platforms such as Facebook and Pinterest. So now that we know how to get an online buyer to spend more time looking through the photos of your home, how do you keep them engaged with your property in order for them to make an emotional connection? The next step up from professional photography is showcasing your home in high definition video…which will surely help your listing not only stand out, but most importantly, keep a potential buyer’s attention. As an example, here’s a listing we recently sold with multiple offers (and substantially over asking, as well as recent sales): www.1339SierraMar.com. As you can see, the HD video makes a great attention grabber after viewing hundreds of pictures of homes available for sale on the internet, and when properly complimented by professional photography it can help a potential buyer picture themselves living in your home. Additionally, just as a potential buyer is likely to share eye-catching pictures of their favorite homes with their friends and family, sharing a video can be much more powerful and fun for them. And it sure makes it easier for today’s buyers to get the approval from distant family when a home looks great behind the camera, versus one that was camera shy! Did you know that home sellers who used a real estate agent are 50% more successful at getting their homes sold than unrepresented sellers (Statistic from researchers at HomeGain.com)? Well the same is also true for homebuyers, especially given the painfully low inventories we’re currently experiencing in San Jose and the greater Santa Clara County. So, in an effort to save some buyers unwanted troubles, I have quickly listed some of the top reasons that homebuyers should choose to work with a qualified real estate professional, preferably a REALTOR® when embarking on their home journey. Getting a purchase closed in today’s market is complex and filled with buyer traps. Today’s buyers face many more hurdles including stricter financing and a confusing marketplace of listed homes, such as for-sale-by-owner homes, foreclosures, short sales, investor flips and off-market listings. Added the incredibly low inventory and many buyers, due to the fierce competition when submitting offers, will undoubtedly “throw caution to the wind” by waiving some or all of their purchase contingencies in order to gain an advantage over other competing offers …something that just 12-16 months ago would have been unnecessary and incomprehensible. So having a professional looking after your best interests, assisting you in reviewing seller disclosures and property inspection reports, will improve your chances of both having an offer accepted, and more importantly, help to avoid unwanted surprises during escrow. 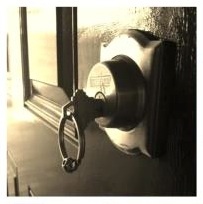 Gone are the days when a would-be homebuyer was being solicited every five-minutes to purchase a home. Now there aren’t enough houses available to meet the insatiable demand created by the low mortgage rates and high affordability. In fact, we’ve got less than 50% of the inventory available than we did 12 months ago, and homes are selling three times faster, sometime in just days after being listed. So how can your Realtor® help you find a property when homes are selling so quickly? Many experienced agents have built a vast network with their fellow real estate professionals, and most communicate with their networks, or participate in social events in order to identify upcoming listings. Although most of these properties will make it to the market before being sold, the benefit of working with a well connected real estate professional means that they are more likely to get the real inside scoop on how to get an offer accepted. 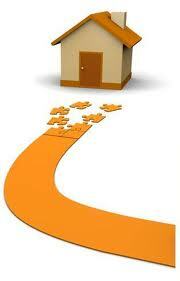 Real Estate Agents will navigate you through the home buying process. To my knowledge, no one walks into their own surgery and operates on themselves…so when buying a home, why would it be any different? Once you find the house you want, the work for your Realtor® really begins as you’ll need help navigating negotiations, loan approval, seller’s disclosures, inspections, repairs, and much more. As your agent, I have a fiduciary duty to protect you from foreseen risks and defects in the property, so knowing that I will also share your risk you can count on me making sure that you go into any home purchase with your eyes wide open. A professional is more likely to help you close on the home of your dreams. In order to take advantage of today’s near-record low interest rates, attractive affordability levels, and still lower than record prices, its more important than ever to work with a professional to help you win the bidding war without opening yourself to unwanted liability or risks. This is where an experienced real estate professional that understands the current market conditions, as well the people skills to get your offer accepted at the best price and terms….even in this market, I’ve been able to successfully save my clients tens of thousands of dollars off the final sales price by presenting the picture of a more stable and committed buyer. Best of all, real estate professionals work primarily on commission. In most instances it won’t cost you anything to hire a professional to assist you with your real estate purchase. In fact, your real estate agent is paid a commission from the sales proceeds of the home, which comes from the seller’s pocket. And since your agent won’t be earning any income until they have found your dream home, they will be motivated to assist you with all aspects of your purchase transaction. But, it also means that if the deal of the century is about to come on the market, who do you think your agent will tell? The buyer who thinks he’ll get a better deal by working every agent, or the buyer who is loyal? And it’s common courtesy to work with only one agent per area that you are looking; and if it’s customary in that area, don’t be reluctant to sign a buyer’s representation agreement with your agent once you have chosen the right agent to represent you in your transaction. And lastly, be sure to stay in contact with your agent. If you want to look at open houses or builder homes, invite your agent to come along. If they happen to not be available, show your loyalty by telling the salespeople you meet that you are already represented. We are excited to announce that we have partnered with Realty World Northern California & Nevada (as of August of 2011), and we now have amazing new products and services available at our finger tips. Added that are also apart of a vast network of Realty World offices, numbering more than 250, covering Northern California and Nevada and with over 1,500 agents. In fact, as of 2011, the sales volume for Realty World franchises for Northern California and Nevada ranked in the top 65 real estate companies of the world…a huge accomplishment provided that Realty World franchises are known to be small independently owned offices of no more than 5-10 people each…that’s small offices with a huge market share! So now that we have partnered with Realty World, I’d love to share with you all the really cool features now available to us such as our industry leading marketing materials, websites, mobile technology, and the most innovative on-line distribution of property listings than any other large brokerage out there. These tools offered through our franchise agreement will no doubt elevate our service to a whole new level. For instance, one our National Listing Distribution Program is second to none in the industry and syndicates our listings to more than 800 websites, promoting and exposing your property nationwide, including the top 10 websites for online real estate searches. And if that’s not exciting enough, what’s even better about this system is that when you list with Realty World your property will be displayed on these sites as “featured listings” at the top of their search criteria so more buyers will be viewing your property than any other homes advertised. So now that we’re apart of a great network of real estate professionals, we look forward to discussing with you how our new features can assist you whether you’re looking to sell your home or find a new one.